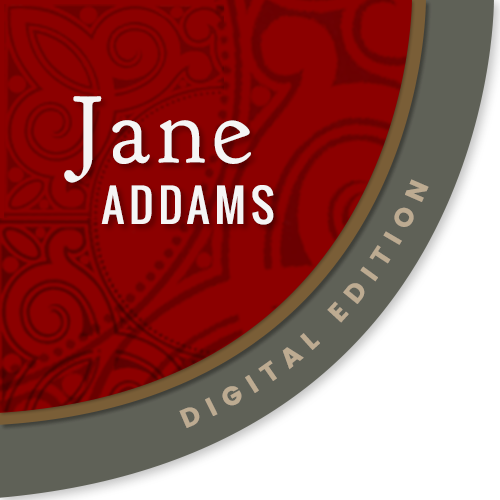 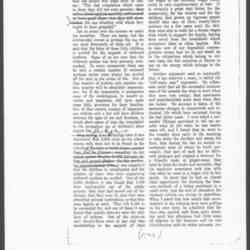 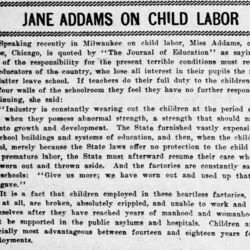 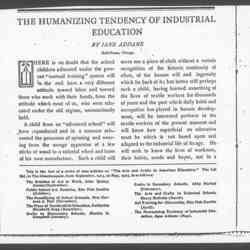 Subject is exactly "Addams, Jane, views on education"
Addams describes child labor and education in Chicago, especially among immigrants. 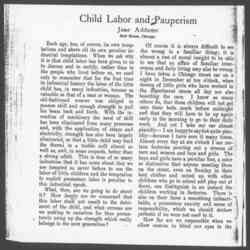 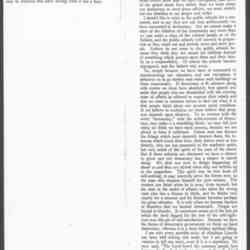 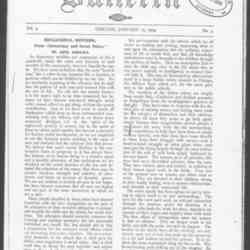 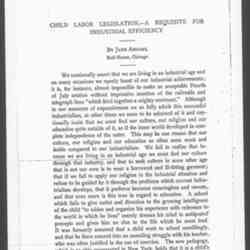 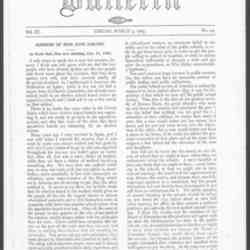 This is a slightly modified version of "Child Labor and Pauperism," which had earlier appeared in the proceedings of the National Conference of Charities and Correction. 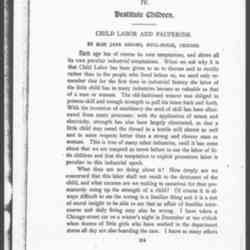 It is also the full version of the "Child and Pauperism" fragment. 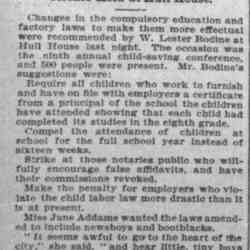 Addams describes the situation of child labor and education in Chicago, especially in the case of immigrants. 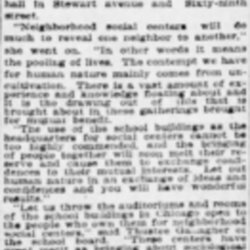 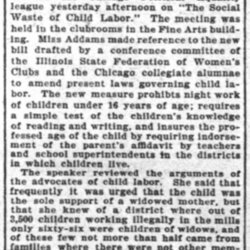 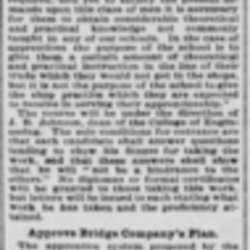 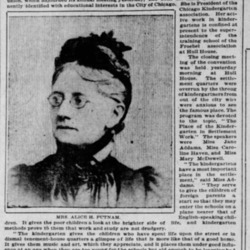 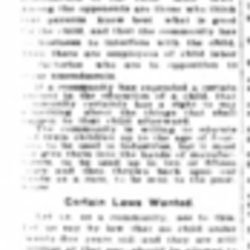 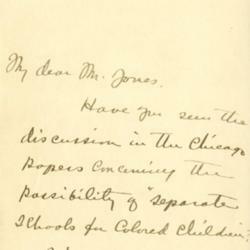 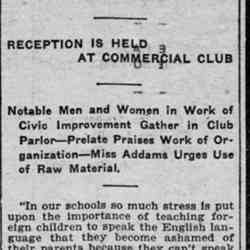 Addams notes a discussion in the news about creating segregated schools and is calling a meeting at Hull-House to discuss it. 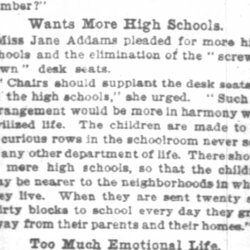 Addams calls for more high schools to make it easier for children to continue their education. 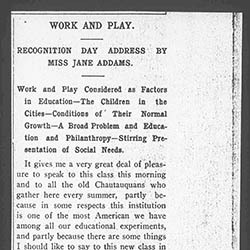 Addams discusses the role that education plays in the life of the workingman. 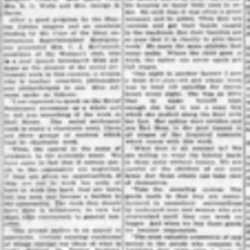 This article is an excerpt from Democracy and Social Ethics. 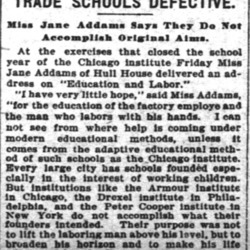 Addams discusses the importance of manual training to the education of immigrant children, using examples from Hull-House and the labor museum. 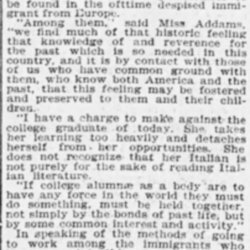 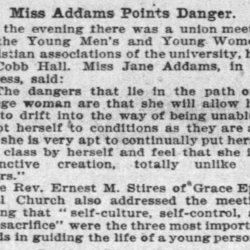 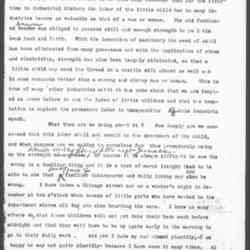 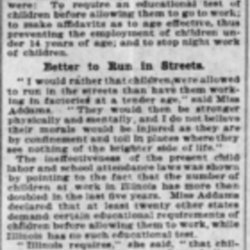 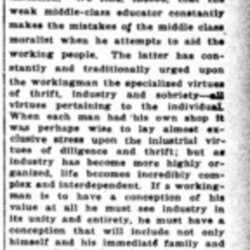 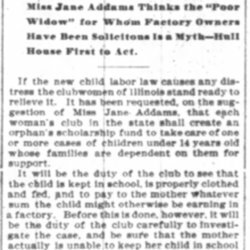 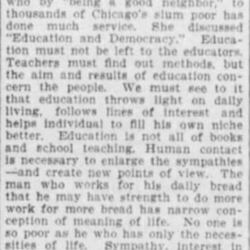 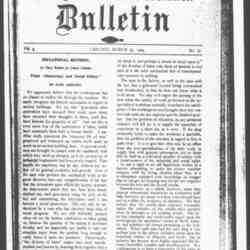 A summary of Addams' speech in St. Louis to the General Federation of Woman's Clubs, arguing that education is the responsibility of all.